This article looks at the Class of 2021 -- last year's freshmen, this year's sophomores. This class, especially on the girls side, excelled on the track last spring. Jacqueline Duarte (Chino Hills/SS), Audrey Suarez (Mayfield/SS) and Mia Barnett (Village Christian/SS) went 3-5-6 in the 1600 meters at the State Final! Paige Sommers (Westlake/SS) was third in the pole vault! 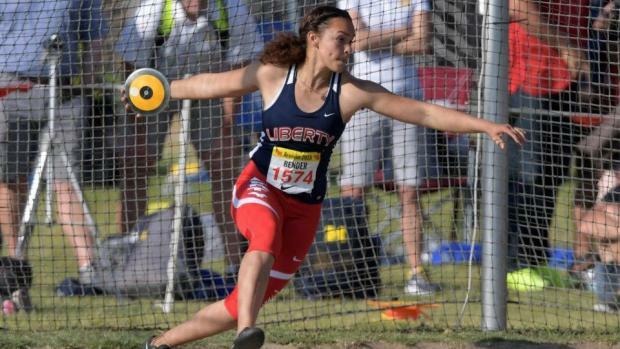 Faith Bender (Liberty/CS) was fifth in the discus throw! Megan Ronan (St. Ignatius College Prep/CC) was fifth in the long jump! Jade McDonald (Mater Dei/SS - now at Calabasas) was sixth in the triple jump! Aysha Shaheed (Madison/SD) in the 100 meters! Makayla Browne (JW North/SS) in the 800! Asjah Atkinson (St. Anthony/SS) in the 100 hurdles! Alisha Wilson (Bonita/SS) in the long jump! Macayla Wells (Taft/CS) in the triple jump! Use the links below to see the overall top 200 boys and girls in CA in the 2021 class in every event ranked as freshmen. Also check out the sortable rankings to break it down by section or even league.